The metabolic syndrome (MS) is characterized by a combination of cardiovascular (CV) risk factors such as hypertension, dyslipidemia, obesity, and alterations in glucose homeostasis. Insulin resistance (IR) is suggested to be the predominant pathogenic factor in causing MS. It is believed that dysregulation of adipose tissue metabolism due to overnutrition and a sedentary lifestyle leads to IR. IR in turn leads to vascular endothelial dysfunction, abnormal lipid profile, hypertension, and vascular inflammation, all of which promote the development of atherosclerotic CV disease. MS may also promote the development of diabetes and chronic kidney disease. In renal transplant recipients, MS has been shown to be an independent risk factor for chronic allograft dysfunction, graft failure, new-onset diabetes, and CV disease. Based on previous studies, it is believed that CV disease is the leading cause of mortality in renal transplant recipients. Thus, early diagnosis of MS and its prevention can lead to higher survival of this group of patients as well as their graft survival. It is reported that the prevalence of MS in renal transplant recipients is higher than in the general population; this can be explained by effects of immuno-suppressive therapy that consist of diabetogenic drugs such as corticosteroids and tacrolimus. MS is diagnosed with the original National Cholesterol Education Program–Adult Treatment Panel III (NCEP-ATP III) system, which consists some clinical and laboratory data, one of them being waist circumference. Since abdominal obesity differs among different ethnic groups, this parameter is modified in different countries. Following the results of previous studies, the lower cutoff limit of this parameter is considered for the Asian NCEP-ATPIII criteria. In this study, we tried to evaluate the prevalence of MS in Iranian renal transplant recipients based on both original and Asian criteria. A total 186 renal transplant recipients from the outpatient transplant clinics at the Montaserieh Hospital of Mashhad University of Medical Sciences were evaluated. The inclusion criteria consisted of age above 18 years, duration after transplantation of at least six months, and stable graft function (serum creatinine level less than 1.5 mg/dL) in the last three months. Patients with pretransplant and posttransplant diabetes mellitus, overt infection, and on immunosuppressive therapy with the target organ inhibitor group such as rapamycin (sirolimus) were excluded from the study. Finally, 106 patients (62 males and 44 females) were recruited to the study. This cross-sectional study conducted between January 2013 and August 2013. All recipients were on triple immunosuppressive therapy with either tacrolimus or cyclosporine, azathioprine or mycophenolate mofetil, and prednisolone. Since all were more than six months posttransplant, they were taking maintenance dose of steroids (2.5–5 mg/day of prednisolone). All patients gave informed consent for participation in the study, which had already been approved by the Ethical Review Board of our institution. Transplant recipients were stratified into two categories (with and without MS) by the modified NCEP-ATP III criteria for Asians (Iranian modified): serum TG >150 mg/dL or receiving specific treatment for this, serum high-density lipoprotein (HDL) <40 mg/dL in males or <50 mg/dL in females or receiving specific treatment for this, systolic blood pressure (SBP) ≥130 mm Hg and diastolic blood pressure (DBP) ≥85 mm Hg or use of antihypertensive medication, fasting blood sugar >100 mg/dL or use of antidiabetic medication, and waist girth ≥92 cm in both genders. Patients who had three or more risk factors were considered to have MS (MS group) and those who had two or less risk factors were categorized as not having MS (non-MS group). Finally, we also checked the prevalence of MS by the original NCEP-ATP III criteria. Based on that, the waist circumference is different, and waist girth ≥88 cm in women and ≥102 in men was accepted as one factor. Patients were admitted after 12 h fasting to collect their blood sample to check serum creatinine, triglycerides, HDL cholesterol, and plasma glucose concentrations. Blood pressure was reported as the average of two measurements taken at 5-min intervals. Hypertension was defined by taking antihypertensive drugs and/or SBP >130 mm Hg or DBP >85 mm Hg. The body mass index (BMI) was calculated by the formula weight in kg/height in meter2. Waist circumference was measured midway between the iliac crest and costal margin. The data were entered into the Statistical Package for the Social Sciences (SPSS) software version 11.0. All data were presented as mean ± standard deviation. Differences between groups were compared with independent t-test. Chi-square test was used to compare categorical variables. P <0.05 was considered statistically significant. Using the modified (Asian) NCEP-ATP III criteria, a total of 56 of 106 patients (52.8%) had MS. Demographic and transplant characteristics of the patients with and without MS are shown in [Table 1]. Blood pressure was significantly higher in the MS group than the non-MS group (P <0.013); the duration after transplantation in the non-MS group was longer than in the MS group, but it was not statistically significant (P <0.063). Twenty-one patients (41%) in the non-MS group versus 14 in the MS group (25%) had spent more than one year after kidney transplantation. The number of female patients in the MS group (25; 46.3%) was more than in the non-MS group (19; 36.5%) although it was not statistically significant (P >0.05). On the other hand, the number of male patients was higher in the non-MS group; again, the difference was not significant(P>0.05). Table 1: Demographic and transplant characteristics of patients with/without the metabolic syndrome. The prevalence of risk factors according to the (Asian) NCEP-ATP III criteria in our patients is shown in [Figure 1]. It was found that the most common risk factor was hypertension, seen in 85 (80.2%) and the least common was hyperglycemia, seen in 14 patients (13.2%). Hypertriglyceridemia and low serum HDL were reported in 77 (72.6%) and 61 (57.5%) patients, respectively. Only three patients (2.8%) had high BMI >30 kg/m2. Comparison of components of MS between the two patient groups is shown in [Table 2]. Table 2: Comparison between components of the metabolic syndrome criteria in the two patient groups. 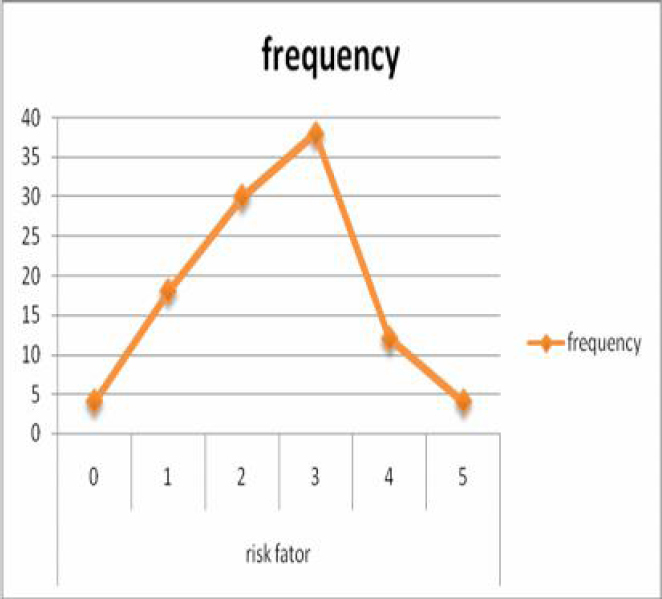 Figure 1: The frequency of risk factors based on the Asian NCEP-ATP III criteria. NCEP-ATP III: National Cholesterol Education Program–Adult Treatment Panel III. Based on the original NCEP-ATP III criteria, 54 patients (50.9%) had MS. This is close to the Asian version of criteria, and there was no significant difference between the two (P>0.05). The prevalence of MS in the general population varies widely in different ethnic backgrounds and also according to the system to define it. It appears that the proportion of people with MS is growing because of increase in obesity and aging in the population in the last decades., In Europe, the prevalence of MS in general population varies from 15% to 45%; Greece and Finland have the highest prevalence of MS with an estimated incidence of 41.8% and 37%, respectively. In North America, between 1988 and 1994, about one-fourth of population had MS by the original NCEP criteria. In South America, evaluation of MS by NCEP criteria showed that Brazil with 53% had the highest prevalence; however, in this study, they used NCEP modified for the Asian population. Their reason for this selection was the presence of a huge immigrant Japanese population there. Lower incidences have been reported in Asian countries, between 7.8 and 25%. The prevalence of MS in Tehran (Iran) was 30.1% based on the original NCEP criteria. Based on this study, the prevalence increased with age in both sexes. It appears that MS is more prevalent in Iran than in Southeast Asia. There are some reports that suggest that MS is more prevalent in renal transplant recipients as compared to the general population. Using the modified Asian NCEP-ATP III criteria in Chinese people, the prevalence of MS was 15.1% and 32% in the general population and renal transplant recipients, respectively. Elahi et al reported similar results in Pakistan (Karachi), 35.2% and 43.5% using modified Asian NCEP-ATP III criteria. In Europe, the prevalence of MS in kidney transplant recipients is 43%–59%, depending on the defining system; the results showed a higher prevalence of MS by original NCEP-ATP III criteria in renal transplant recipients in European people as well. Among the Australian kidney transplant recipients, 50% had MS by applying the original NCEP-ATP III criteria. In Iran, Azizi et al found a prevalence of MS in the general population of 30.1% by the original NCEP-ATP III criteria; among renal transplant recipients, using both original and Asian modified criteria, the prevalence was 50.9% and 52.8%, respectively. It is clear that this syndrome is obviously more prevalent in renal transplant recipients although the results based on original criteria were lower than with Asian modified criteria. Our study showed that patients with MS were significantly older than those without. This was in accordance with similar results in the general population. In the United States, the overall prevalence of MS in the general population was 22%, with an age-dependent increase (6.7%, 43.5%, and 42% for ages 20–29, 60–69, and >70 years, respectively). In our study, we selected patients with stable renal function, and both groups had acceptable graft function. Nafar et al reported in a 12-month follow-up study of their patients that graft function was stable in both groups. Thus, it appears that MS probably affects the graft over a long period. Hence, longer follow-up is required to know the exact effect of MS on allograft function. The calcineurin inhibitors consisting of either cyclosporine or tacrolimus were used as the main immunosuppressive agent in our patients. Both of them are associated with unfavorable effects on lipid levels, blood pressure, glucose metabolism, and graft function., In our study, trough levels of the drug in the MS group were higher than in the non-MS group, but it was not significant. It may also be due to small sample size in our study. Corticosteroids, a mainstay of most regimens despite aggressive efforts at weaning, are associated with significant elevation in cardiovascular risk, and increase in the risk of MS in renal transplant recipients. It is used in high doses in the 1st month of transplantation; patients in this study had received their grafts at least six months ago. At this time, all of them were taking between 2.5 and 10 mg of prednisolone per day. Drug dosage in the MS group was higher than in the non-MS group, but the difference was not significant. Our study revealed a high prevalence of MS in Iranian renal transplant recipients, especially during the 1st year after transplantation, even more than in the general population. Thus, strong measures are required to try and prevent this syndrome by suitable lifestyle modifications. Elahi T, Akhtar F, Ahmed E, Naqvi R. Prevalence of metabolic syndrome in renal transplant recipients – A single centre experience. J Pak Med Assoc 2009;59:533-6. Koh KK, Han SH, Quon MJ. Inflammatory markers and the metabolic syndrome: Insights from therapeutic interventions. J Am Coll Cardiol 2005;46:1978-85. Goldsmith D, Pietrangeli CE. The metabolic syndrome following kidneytransplantation. Kidney Int 2010;78 Suppl 118:S8-14. Schelling JR, Sedor JR. The metabolic syndrome as a risk factor for chronic kidney disease: More than a fat chance? J Am Soc Nephrol 2004;15: 2773-4. Porrini E, Delgado P, Torres A. Metabolic syndrome, insulin resistance, and chronic allograft dysfunction. Kidney Int Suppl 2010;119:S42-6. Armstrong KA, Campbell SB, Hawley CM, Nicol DL, Johson DW, Isbel NM. Obesity is associated with worsening cardiovascular risk factor profiles andproteinuria progression in renal transplant recipients. Am J Transplant 2005;5:2710-8. Cheung CY, Chan HW, Liu YLet al. Prevalence of metabolic syndrome in Chinese renal transplant recipients. Hong Kong Med J 2008; 14:379-84. Gu D, Reynolds K, Wu X, et al. Prevalence of the metabolic syndrome and overweight among adults in China. Lancet 2005;365:1398-405. Ford ES, Giles WH, Dietz WH. Prevalence of the metabolic syndrome among US adults: Findings from the third National Health and Nutrition Examination Survey. JAMA 2002; 287:356-9. Ford ES, Giles WH, Mokdad AH. Increasing prevalence of the metabolic syndrome among U.S. Adults. Diabetes Care 2004;27:2444-9. Grundy SM. Metabolic syndrome pandemic. Arterioscler Thromb Vasc Biol 2008;28:629-36. Hashimoto SM, Gimeno SG, Matsumura L, Franco LJ, Miranda WL, Ferreira SR; Japanese Brazilian Diabetes Study Group. Autoimmunity does not contribute to the highly prevalent glucose metabolism disturbances in a Japanese Brazilian population. Ethn Dis 2007;17:78-83. Azizi F, Salehi P, Etemadi A, Zahedi-Asl S. Prevalence of metabolic syndrome in an urban population: Tehran Lipid and Glucose Study. Diabetes Res Clin Pract 2003;61:29-37. Sharif A, Ravindran V, Dunseath G, Luzio S, Owens DR, Baboolal K. Comparison of rival metabolic syndrome classifications against pathophysiological markers in renal transplant recipients. Transplantation 2010;89:347-52. Armstrong KA, Campbell SB, Hawley CM, Nicol DL, Johnson DW, Isbel NM. Obesity is associated with worsening cardiovascular risk factor profiles and proteinuria progression in renal transplant recipients. Am J Transplant 2005;5:2710-8. Jaber LA, Brown MB, Hammad A, Zhu Q, Herman WH. The prevalence of the metabolic syndrome among Arab Americans. Diabetes Care 2004;27:234-8. Porrini E, Delgado P, Bigo C, et al. Impact of metabolic syndrome on graft function and survival after cadaveric renal transplantation. Am J Kidney Dis 2006;48:134-42. Naganuma T, Uchida J, Kinoshita Y, et al. The prevalence of metabolic syndrome in Japanese renal transplant recipients. Nephrology (Carlton) 2007;12:413-7.
de Vries AP, Bakker SJ, van Son WJ, et al. Metabolic syndrome is associated with impaired long-term renal allograft function; not all component criteria contribute equally. Am J Transplant 2004;4:1675-83. Nafar M, Noori N, Jalali-Farahani S, et al. Mediterranean diets are associated with a lower incidence of metabolic syndrome one year following renal transplantation. Kidney Int 2009;76:1199-206. Nankivell BJ, Borrows RJ, Fung CL, O’Connell PJ, Chapman JR, Allen RD. Calcineurin inhibitor nephrotoxicity: Longitudinal assessment by protocol histology. Transplantation 2004;78: 557-65. Hardinger KL, Koch MJ, Brennan DC. Current and future immunosuppressive strategies in renal transplantation. Pharmacotherapy 2004; 24:1159-76. Knight SR, Morris PJ. Steroid avoidance or withdrawal after renal transplantation increases the risk of acute rejection but decreases cardiovascular risk. A meta-analysis. Transplantation 2010;89:1-14.